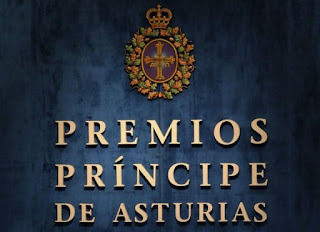 When improving quality is the name of the game, the Princess of Asturias Awards has several opportunities to have fun. Like many other awards it is not singular in its scope. Many Wikipedias have articles for each category. Arguably the award is not the "Princess of Asturias Award" as some Wikipedias have it. When the award was conceived, it was named after the prince who was next in line to become king of Spain. The Prince became king and he will be most likely be succeeded by a princess. It is why the name was changed. Wikidata is not smart enough to know that such name changes take place, It is why basic information like a name can be utterly confusing. When you add information for this award, there is all the information added in good faith on the award itself. It is redundant but removing them means that the link to Wikipedia articles are lost. Tough. Such links are what people expect of Wikidata..